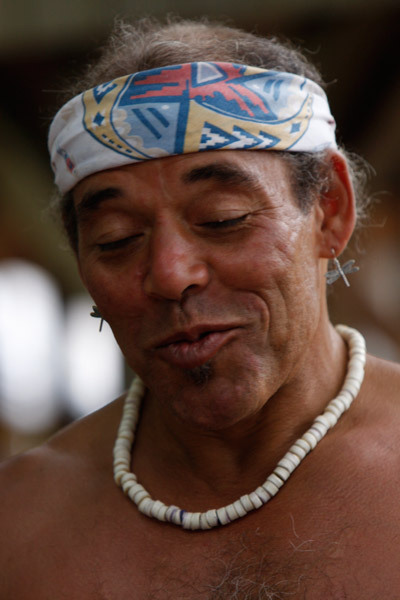 “We Still Live Here (Âs Nutayuneân)” (2010, 56 minutes) is a feature documentary by Anne Makepeace. This is a beautiful, fascinating, and inspiring film about the efforts of the Wampanoag people to bring back their native language—100 years after the last fluent speaker died. It was in 1994 when Jessie (Little Doe) Baird, a Mashpee Wampanoag social worker, began having recurring dreams about people who seemed familiar—they looked like her relatives—but spoke a language she could not understand, until one day she realized it was Wampanoag, and they wanted her to bring the language back to those who were still living. 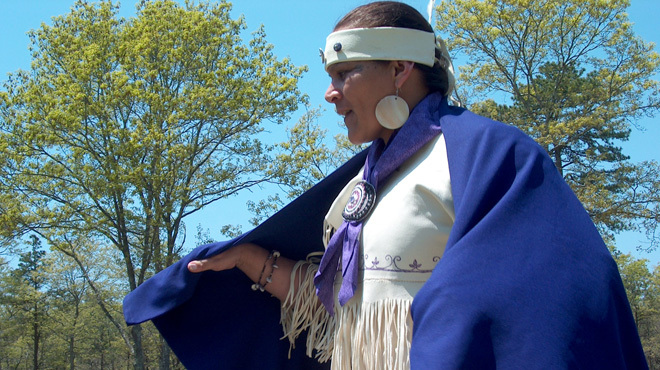 She found that many other Wampanoag shared her interest in the language, and a group of them set to work, trying to figure out how to learn a language for which there were no textbooks or recordings. Eventually, she received a yearlong research fellowship to study linguistics at MIT, and then earned a master’s degree in linguistics. Two sources of native language were used to recreate the language: original deeds and legal documents written in English and Wampanoag, and copies of the Bible, translated into Wampanoag, often with notes in them, written in Wampanoag. Ironically, the legal documents had been written to deprive the Wampanoag of their land and rights, and the Bible had been written by missionaries to replace their native religion with Christianity. But, for Jessie, they were the Rosetta Stone that allowed her and others to figure out the language, to teach it to herself and to others. This connection with the past was extremely meaningful. Touching the original documents written in Wampanoag, said one woman, “is like touching the hand” that wrote them. The Wampanoag have experienced many losses: the loss of land holdings to the English settlers, death of two-thirds of the population from yellow fever, the loss of children to the state, and loss of cultural traditions along with their language. As they began learning the language, they gained insights into their lost culture. For instance, the literal translation of “I lost my land rights” is “I fell down on the ground.” To have no land is to have nothing to stand on. It becomes clear that the language is not just words; knowing the language opens up a whole new understanding of the world. Though fluency has not yet been achieved, dramatic progress has been made. Ms. Makepeace tells this incredible story through Jessie’s own words, and the words of many other members of the tribe, including Jessie’s daughter Mae, the first contemporary native speaker of the language. The cinematography of the land and the people is very effective, as is Ms. Makepeace’s creative use of animation and old maps to illustrate historic concepts. “We Still Live Here” will be shown Sunday, July 31, at 7 PM, at Redfield Auditorium. For more information on the film, including film clips and an interview with the director, visit www.makepeaceproductions.com/wampfilm.html. The trailer was also shown last weekend at the Cultural Survival Bazaar, tomorrow and Sunday, at Peg Noonan Park, on Main Street in Falmouth.